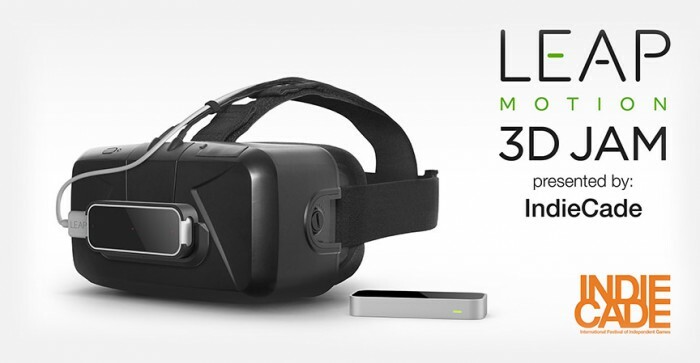 Leap Motion is teaming up with IndieCade for a ‘3D Jam’ dev contest which utilizes the company’s motion controller. 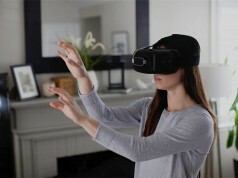 Leap recently released a ‘VR Mount’ for their motion controller which connects to the front of the Oculus Rift and the company is hoping to see VR-based and desktop submissions from developers pining for $75,000 in prizes. Leap Motion has been working to breathe new life into their compact low-latency motion controller by aligning themselves with the burgeoning VR industry. 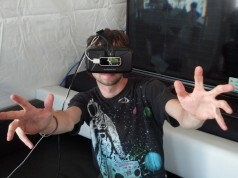 Using the Leap Motion controller in VR was an interesting idea early on, back during the DK1 days, but it didn’t see much true development, possibly because the company’s SDK wasn’t friendly to head-mounted usage. Recently, however, the company revamped their SDK to allow the device to better work with how it might be icorporated into VR setups. They even went so far as to release a VR mount, specially designed for the Rift DK2, that makes it simple to mount the motion controller to Oculus’ latest developer headset. If you don’t have access to the Leap Motion hardware, Leap and IndieCade are hosting nine ‘hardware hubs’ around the world for developers to get access to the motion controller and the VR mount for use with the Oculus Rift DK2. Those hubs will be in San Francisco, NYC, LA, Paris, Berlin, London, Shanghai, Edinburgh, and Toronto. Currently their specific locations have not been announced but more info should become available on Leap’s official forum thread about the contest.